Could you benefit from taking some time to explore your thoughts and feelings? 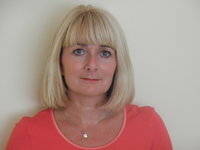 My name is Emma Lindsey and I have been a practising counsellor in Bassett, Southampton for many years. I am committed to providing counselling in a safe, confidential and non-judgemental environment. I work with individuals on an open-ended basis or for an agreed time period, with the aim of enabling clients to deal with life events, change, loss or trauma.